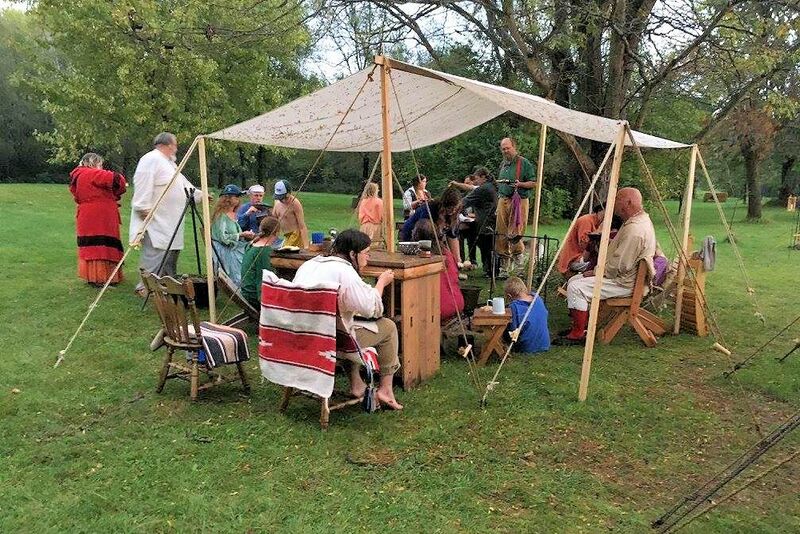 Experience pre-1840 frontier life at the 6th Annual Pleasant Hill Primitive Rifleman Memorial Day Rendezvous on May 24-27, 2019 at our Pleasant Hill Rendezvous Camp northwest of Hallam, Nebraska at SW 72nd and Panama Road. All buckskinners are welcome to our primitive pre-1840 camp. All camps and personal attire must be of that era. Take part in the Pleasant Hill Primitive Rifleman Memorial Day Rendezvous events. Bring your rifles knives, hawks, flint and steel, bow and arrows. Dogs welcome, but must be on leash and controlled at all times. The Pleasant Hill Rendezvous Camp is on private property. We have a yearly lease with the landlord and we purchase the necessary liability insurance for our activities. Help us leave it like you find it! Pleasant Hill Primitive Riflemen are a group that enjoy reliving the North American fur trade era from 1820 to 1840. They both host annual rendezvous like the Pleasant Hill Primitive Rifleman Memorial Day Rendezvous and participate in Rendezvous with other like minded groups as well where clothing, firearm, camps and anything else visible, must appear from that period. We welcome new members. Mark your calendar today so you don’t miss the next Pleasant Hill Primitive Rifleman Memorial Day Rendezvous on Memorial Day Weekend at our Pleasant Hill Rendezvous Camp northwest of Hallam, Nebraska.